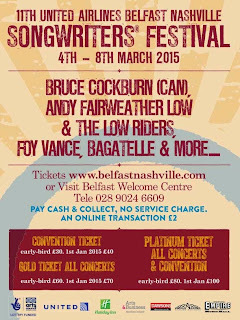 We've got another fantastic lineup for the next BelNash festival here in Belfast. Early-bird Special tickets are out right now, then increase from 1 January. 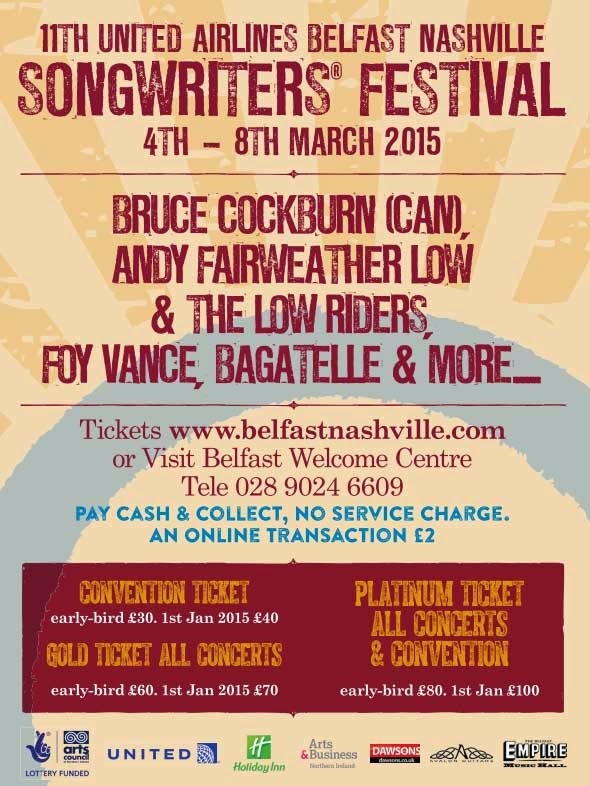 More artists to be announced very soon, so keep an eye on the Festival website. Don't forget too - 7.30 p.m. Thursday 11 December, Olympic Room, Holiday Inn Belfast. We're working closely with one of our sponsors, Dawsons Belfast, and 11 Dec. is the final of the Dawsons Singer-Songwriter Competition. Ten great finalists performing live, and you can get your free tickets from getinvited.to. Winner gets to play one of the concerts at the festival in March and will win great music gear and recording time.